April Wine is a Canadian rock band formed in 1969. According to the band, they chose the name 'April Wine' simply because members thought the two words sounded good together. 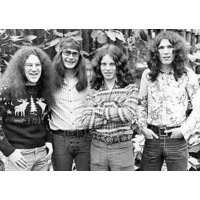 The band went on to release more than twenty albums and forge a live performance reputation that still sees them drawing devoted crowds across Canada and around the world more than forty years after taking their first steps into the hard rock spotlight.